Principal Cast : Katherine Hepburn, Humphrey Bogart, Robert Morley, Peter Bull, Theodore Bikel, Walter Gotell, Peter Swanwick, Richard Marner. Synopsis: A prim and proper missionary travels down river with a surly riverboat captain during the first World War, in deepest Africa, on a mission to take out a German gunboat located in a large lake downstream. What we think : Consider me educated – The African Queen is charming, effective and above all, fun. The sparkling chemistry between Bogart and Hepburn is key to the film’s success as a story, and without them in the form they are, it would almost certainly have been a lesser production. The African Queen is indeed, just that. I’m always wary of dipping my toes into Hollywood “classics” of the kind The African Queen represents. Like those who delve into classic cars, or vinyl albums (records, we called them when I was a kid, in the days before CD and mp3), some people appreciate the old stuff, and others – and I include myself here – do not. That’s not to say that I believe pre-1960’s Hollywood is without merit, rather that it takes a lot for me to get “into” these films purely because of their vintage. Films such as Lawrence Of Arabia, for example, transcend the era in which they are produced, namely through story and character, albeit I often find this to be the exception rather than the norm. Classic Hollywood holds less lure to me than it does to others, much like those vinyl albums are total head-scratchers to the youth of today. So I approach films deemed “classics” with a respective, yet expectantly underwhelming feeling of trepidation; I want to be impressed, but appreciate that these films don’t appeal to me like they do others, and thus I respect them not to impress me like they probably should. After reading a highly appreciative review by Alyson, over at The Best Picture Project, I figured it was about time I had a look at this oft-quoted “masterpiece” from acclaimed director John Huston. 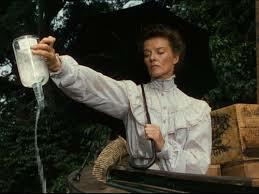 How, then, does The African Queen pass my horribly low tolerance for stagey, clunky Old Hollywood? Do Hepburn and Bogart still have the screen rapport to transport me completely to the African jungle, passing time away on their riverboat adventure? This trip isn’t covered by any insurance, sweety! 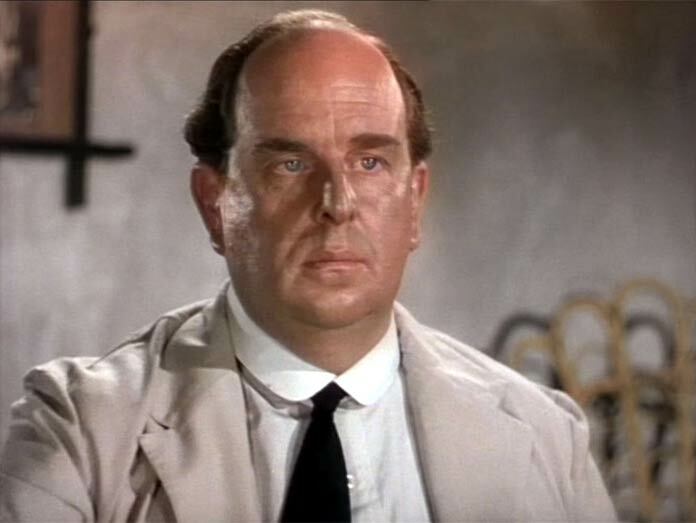 In the jungles of Africa, Methodist missionaries Samuel Sayer (Robert Morley) and his sister Rose (Katherine Hepburn) find themselves thrown into the outbreak of World War I, when regular mail runner and riverboat captain Charlie Allnut (Humphrey Bogart) informs them of the impending German threat. Refusing to flee, the German’s arrive at the African village where the Sayer’s are based, and burn it to the ground. 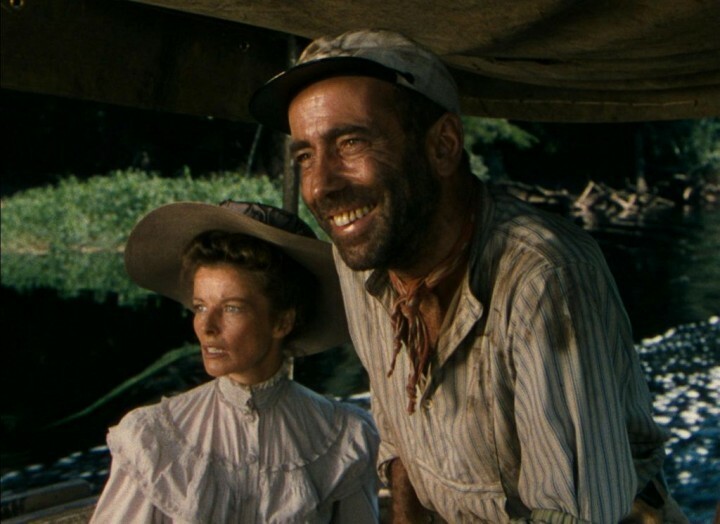 With Samuel catching a fever and passing away shortly thereafter, Rose decides to leave the village with Charlie in his boat, The African Queen. As they journey downriver, Rose decides to make a run for a large lake patrolled by a German gunboat, the Queen Louisa, with some cobbled together “torpedoes” they make while aboard the African Queen. Charlie is hesitant, but after a series of encounters with river rapids and a German outpost (past which they only barely make it), he soon comes to find himself drawn to the stuffy, upper-crust Rose and her stiff-backed ways. Rose, who initially tolerates Allnut for his alcoholism and apparent disregard for propriety, eventually comes to be attracted to him as well, leading to a romantic entanglement when the African Queen makes it to the lake to confront the Queen Louisa. Hepburn in The Bar None. 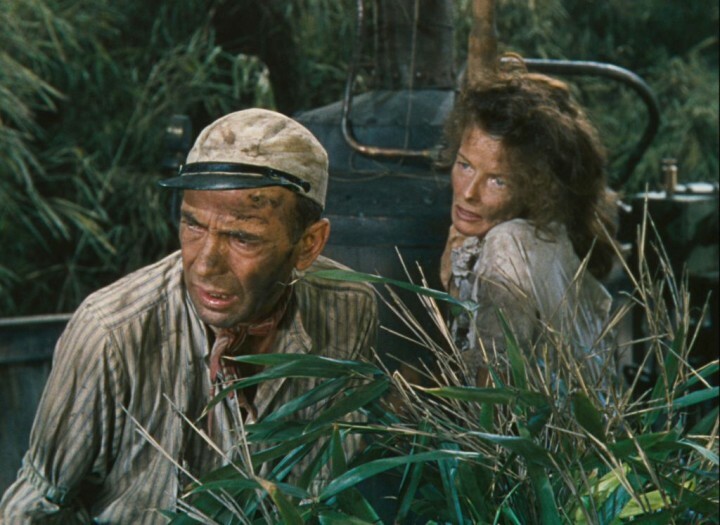 The African Queen is a rousing, spirited adventure in the way Old Hollywood makes ’em. Unlike many of today’s modern blockbusters, the film is driven less on the action and more on the chemistry between its two leading stars – in this case, Bogart and Hepburn – who forge an unlikely romance under utter duress. Pleasingly, this focus allows the film to marinate in its star-power goodness, and deliver a film that sparkles with wit, drama and romance. The sparkling script is a delight to behold, with both Hepburn and Bogart (in his Oscar winning role) as charismatic as you’d expect in bringing their respective characters to life. Bogart, as Charlie Allnut, is surly, an alcoholic, and reasonably laconic in his demeanor, a complete contrast to Hepburn’s stuffy Rose. Bogart’s wit and underlying charm is fun to watch, as he spars verbally and subtextually with Hepburn, who is up to the challenge and offers the film a sparkle of her own; Hepburn’s rock solid performance saw her garner an Oscar nomination, and although she didn’t win, she’s equally as good as Bogart in one of her signature roles. John Huston, one of the great American directors, was at the peak of his powers here, and the production values and storytelling prowess on display are first class. Huston previously worked with Bogart on The Maltese Falcon (a classic in its own right), The Treasure Of Sierra Madre, and Key Largo. 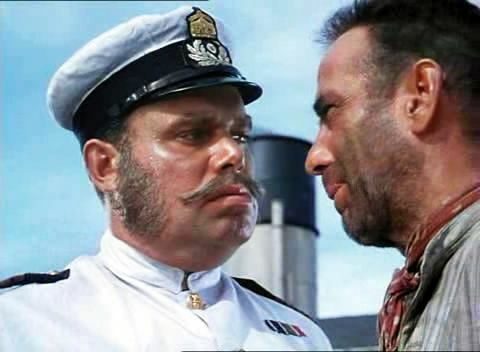 Testament to Huston’s skill, he navigates both the characters and the action with almost effortless ease, helming the film (based on his screenplay, which was itself based on the CS Forester novel of the same name) with both assured measure and modernized energy. Too often, Old Hollywood films are stodgy in nature, as if they’re filmed as stage productions; The African Queen was filmed primarily in Africa, with some pickup shoots in Turkey and on soundstages in the UK. 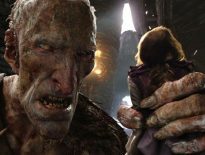 This realism lends an authenticity to the film, something many older studio-bound efforts could never accomplish to the same degree. Huston frames his characters almost entirely within the context of the river boat itself: once Rose gets into the boat to escape the German advance, neither she nor Allnut leave the vessel until the very end, when they’re captured by the Germans. It’s a claustrophobic element to the narrative which I think bears mentioning, because it’s often these “close quarters” stories which provide plenty of grist for the emotional mill. This is gonna be harder for you and your beard, dude. The film’s pedigree reads like a back-catalog of Oscar success. Lensed by cinematographer Jack Cardiff, who snagged Oscars for his work on Black Narcissus and The Red Shoes (both films I have yet to see) and chopped by Huston’s go-to editor, Ralph Kemplen (who worked on films like 1956’s Moulin Rouge, 1966’s A Man For All Seasons, Oliver! and even Henson’s The Dark Crystal), and scored by Polish composer Allan Grey (The Volunteer, The Life And Death Of Colonel Blimp, and The Reluctant Widow), The African Queen oozes class from every fiber and speckle of dirt on the print. The lighting, the composition of shots (the film was shot in the 1.33 Academy ratio) and the use of sound and B-roll footage to accommodate material the main unit couldn’t capture, all work in unison to give the film such momentum and easy-breezy self-assured effervescence, it’s fun to watch. Oh crud. This doesn’t look good. If the film has any failing, it’s simply in its vintage. This in itself isn’t so much a failing as much as it’s a product of the times, and I’m loathe to really rip into The African Queen simply because its an older film. Newbie cinema fans who, like myself, tend to appreciate the modern film productions, might scoff at this Queen’s stately nature, but for those with an open mind about such things, you will be pleasantly rewarded by a film that is – in this reviewers opinion – quite entertaining. If that sounds condescending, I apologize, because that is certainly not my intent; like finding a few dollars in the pocket of an old coat, The African Queen is both welcome and surprising, and entirely worthy of its “classic” appellation. 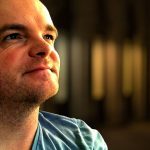 If you’re wavering about giving it a watch, allow this grumpy old film critic to shine the light of realization your way – The African Queen is one film royal you’ll want to watch again. Mrs. Brik and I are not fans of old movies, much like yourself. Usually this kind of stuff is cheesy to the extreme. But we both ended up really liking The African Queen. Mrs. Brik was trying to do something else while I watched this film in the background. She ended up dropping what she was doing, and watched the whole thing with me. Hey, it just goes to show that a good movie is a good movie, not matter when it was made. Nail on the head, Mr Brik – a good movie is a good movie, regardless of vintage. I'm not a fan of the "stagey" Hollywood stuff, usually I can't find my suspension of disbelief, but this film did everything right. And it's good to hear that you watch films with Mrs Brik, that's awesome work, chief! MIght be time for a rewatch then, my friend?